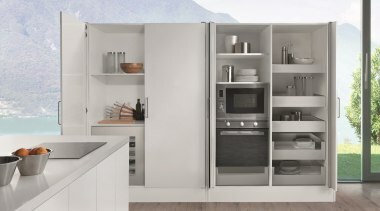 Salice’s Eclipse Pocket Door mechanism attaches to cabinet or cupboard doors and allows the door to pivot 90° to slide back to sit within a double cabinet wall. 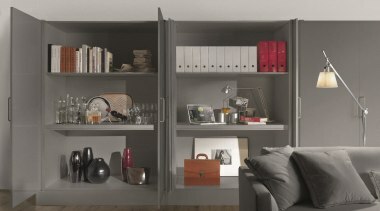 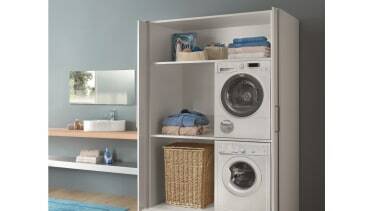 Pocket Doors are brilliant for when you have limited space. 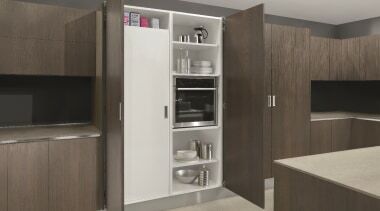 Ideal for when you have a work surface or work area housed within a cabinet or cupboard and would like for the doors to be out of the way so that traffic in surrounding areas is not compromised - for example for kitchen pantries, kitchen work or appliance areas, a laundry spacer within a bathroom or kitchen or even to contain a pull out desk/office area.